Stop paying for the air-conditioning at the malls, head to this store and save up for better things in life – visit Hues II in Pali Hill. 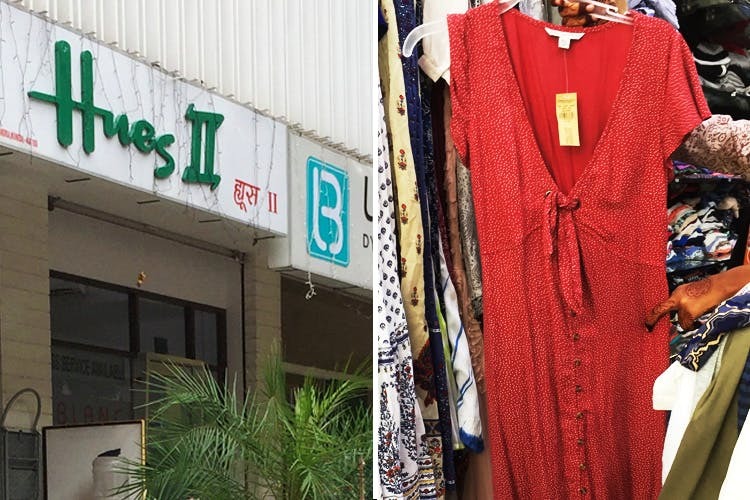 Before you stop at Mini Punjab for your fix of bad fats, check out Hues II, a store with a huge collection of dresses, tops and more. Their dresses are priced from INR 750 upward, tops from INR 450, jeans from INR 950, skirts from INR 750 and shirts at INR 550 upwards. There are branded labels, export stuff and some homegrown brands that you’ll find here. The quality of clothes in no less than what you’ll find at a mall and the prints are more that what you’ll find at a branded store. If you are ever on a lookout for a summery dress that won’t hurt your pockets, Hues II is definitely worth checking out.